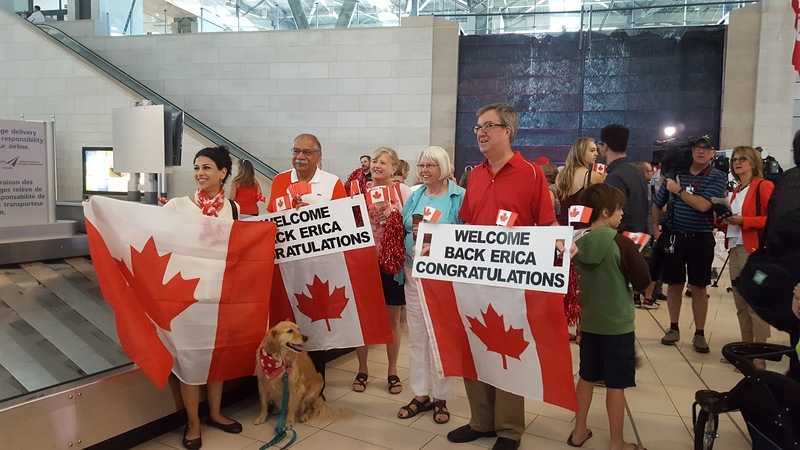 This week I had the privilege of joining countless members of our community in welcoming home Olympic gold-medal winner and Stittsville-born Erica Wiebe in her triumphant return from Rio. Erica competed in the Women’s Freestyle 75-kilogram wrestling category, earning Canada’s fourth, and final gold medal in the Rio Summer Olympics. In keeping with the momentum of Erica’s homecoming, I am thrilled to invite all residents to the Goulbourn Recreation Complex this Thursday, August 25 at 7 p.m. for a reception in Erica’s honour. The Goulbourn Recreation Complex, or GRC, is located at 1500 Shea Road, just beside Sacred Heart High School where Erica’s road to podium began through developing her skill and passion for wrestling. The gym is a second home to many aspiring Olympians who have spent countless hours honing their skills to one day share in Erica’s success. I hope you are able to join me on Thursday evening to celebrate Erica’s outstanding achievement and express the pride we as a community feel for her representing Canada and Ottawa so proudly.